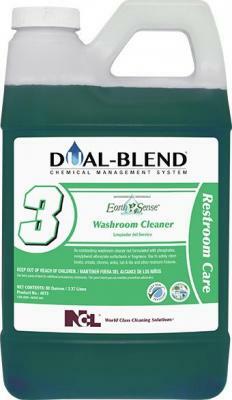 NCL DUAL BLEND #03 Earth Sense Washroom Cleaner, 80oz - (4/cs) - FOUR U PACKAGING, INC.
An outstanding washroom cleaner that can be used for all restroom applications. Not formulated with phosphates, nonylphenol ethoxylate surfactants, added dyes, fragrance, silicates, chelating agents or caustics. Readily biodegradable with no VOC’s. 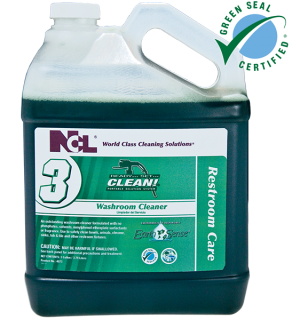 Use to safely clean bowls, urinals, chrome, sinks, tub & tile and other restroom fixtures.